Is it a book? Is it a cake? A great cake, because if you’re struggling for inspiration, everyone loves a good read, and the message can be incredibly personal. 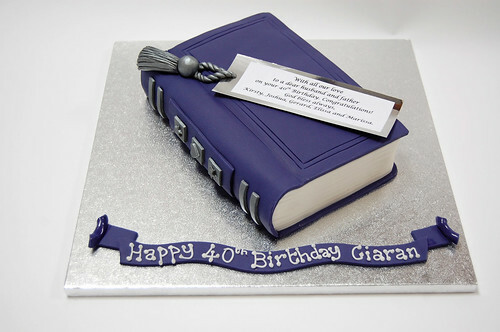 The Book and Bookmark Cake – from £70.